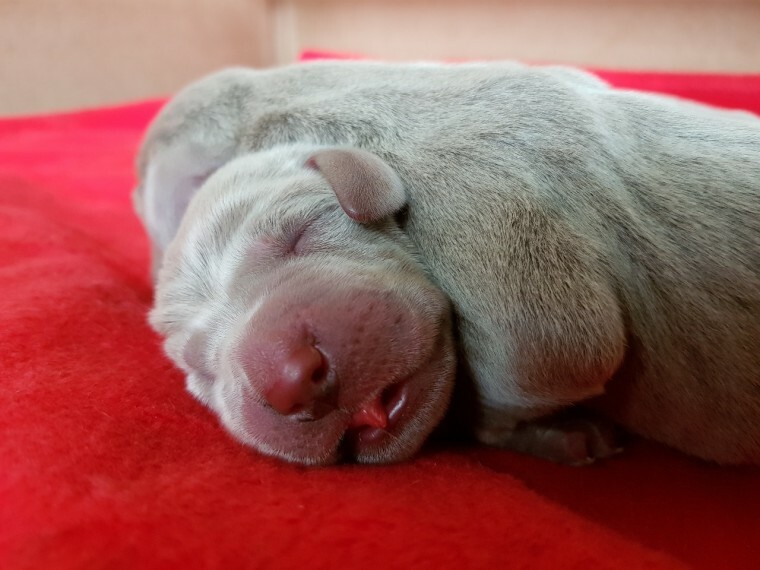 We have 8 beautiful Weimaraner Puppies. 6 boys and 2 girls available to go to new homes. The mum is of a lovely calm temperament and makes a wonderful family pet. She is great with children. horses and other dogs. You will get to meet her. The puppies will be wormed. micro chipped. have their first vaccination. and leave with there dew claws removed. They will come with a puppy pack when they leave. They are all KC Registered. Deposits of 200 will secure your pup. subject to suitability. We want our puppies to go to lovely homes. so please only enquire if you completely understand the needs of this breed. Ready to leave on on the 7th of July 2018.